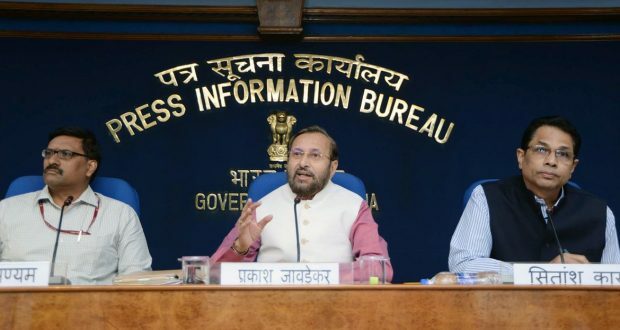 Newdelhi:25/10/18:The Union Minister for Human Resource Development Shri Prakash Javadekar launched the web portal of the Scheme “Impactful Policy Research in Social Sciences (IMPRESS)” in New Delhi today. Briefing the media about the scheme, the Minister said that that under the Scheme, 1500 research projects will be awarded for 2 years to support the social science research in the higher educational institutions and to enable research to guide policy making. He also said research in social science is essential for progress of the society and the research carried out under IMPRESS scheme will be used to understand and solve problems facing the society. He further informed that the Government, in August 2018, had sanctioned the scheme “Impactful Policy Research in Social Sciences (IMPRESS)” at a total cost of Rs.414 Cr for implementation up to 31.3.2021 and Indian Council of Social Science and Research (ICSSR) will be the project implementing agency. a) To identify and fund research proposals in social sciences with maximum impact on the governance and society. b) To focus research on (11) broad thematic areas such as : State and Democracy, Urban transformation, Media, Culture and Society, Employment, Skills and Rural transformation, Governance, Innovation and Public Policy, Growth, Macro-trade and Economic Policy, Agriculture and Rural Development, Health and Environment, Science and Education, Social Media and Technology, Politics, Law and Economics. The Sub-Theme areas will be decided on the basis of Expert Groups’ advice before notifying the scheme and calling for applications. c) To ensure selection of projects through a transparent, competitive process on online mode. d) To provide opportunity for social science researchers in any institution in the country, including all Universities (Central and State), private institutions with 12(B) status conferred by UGC. e) ICSSR funded/recognised research institutes will also be eligible to submit research proposals on the given themes and sub-themes. There will be (4) calls for proposals – October, 2018, February 2019, September 2019 and February 2020. The process of evaluation of the proposals and selection will be completed within 90 days from the date of call for proposals. The experts for evaluation of proposals will be persons of eminence and selected using objective criteria. There will be a regular monitoring of the progress of projects using the online portal, in which the progress can be directly updated by the Project Coordinator. There will be a third party evaluation of the projects in March 2021.